Stevie Wonder is a popular American singer-songwriter, considered by many to be a genius in R&B music and popular music in general. 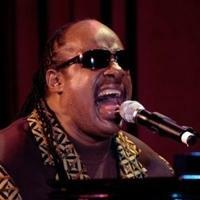 Practically blind since birth, he has come to be a major Motown artist, with more than 100 million records sold. He has recorded over 30 top ten hits, received 24 Grammy awards (a record for a living artist), among them a Lifetime Achievement Award, and has been inducted into the Rock and Roll and Songwriters halls of fame. This ranking lists all his studio albums. Vote for your favorite Stevie Wonder albums.